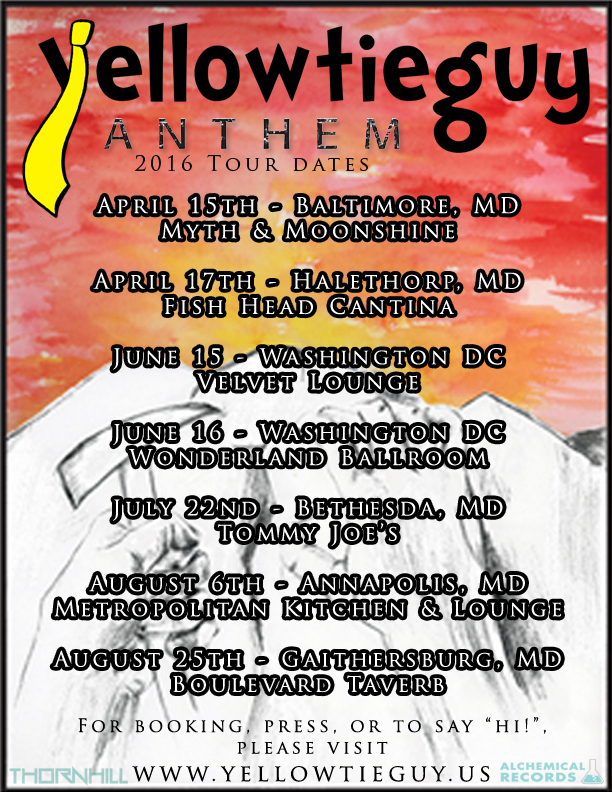 YellowTieGuy performing live: April 15 at Myth and Moonshine in Baltimore, MD. April 17 at Fish Head Cantina in Halethorp, MD. June 15 at Velvet Lounge in Washington DC. June 16 at Wonderland Ballroom in Washington DC. July 22 at Tommy Joes in Bethesda, MD. August 6 at Metropolitan Kitchen and Lounge in Annapolis, MD. August 25 at Boulevard Tavern in Gaithersburg, MD.